Heat olive oil, add beef mince and fry till beef changes color breaking up beef ensuring no clumps. Add, onion, garlic, and mushroom and fry till vegetables are cooked. Add canned tomatoes, tomato paste, stock, salt, pepper, chili flakes, Italian season, thyme, oregano, bay leaf and chopped parsley. Simmer for 2 hours on low heat stirring occasionally. Remove bay leaf. Preheat oven to 180 °C . Pour a layer of meat sauce at bottom of baking dish. Layer lasagna sheets making sure they don’t overlap. Spread a 1/3 of the cottage cheese filling, Sprinkle some mozzarella over. Repeat layers ending with lasagna sheets. Cover with parmesan & mozzarella cheese. Remove foil and bake another 15 minutes till golden. Enjoy. 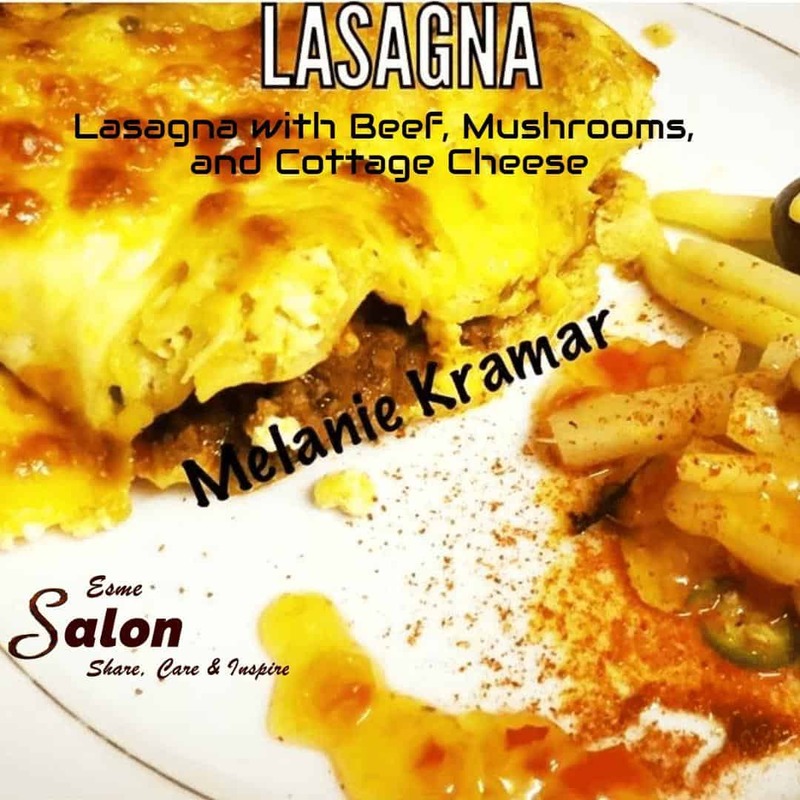 True to tradition we do have more Lasagne dishes for you to test. Oh, this looks good. I’ve been looking for a good lasagna recipe.